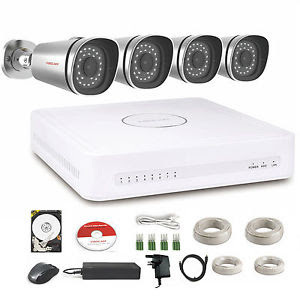 Foscam NVR-Kit: 4-Camera High Definition Surveillance Kit to protect your Home, Business or Store! Foscam High Definition Surveillance system: Keep Your Life Secure All the Time! Foscam's 720P NVR-Kit provides ultimate coverage, allowing you to monitor and protect your home, business, and property.